Enjoy the magical spell of nature as the rich forest soaks up the rains and transforms itself into its most beautiful avatar. Walk through gushing streams; climb slippery boulders; splash in waterfalls; have fun and adventure; and above all, CONTRIBUTE TO A CAUSE. 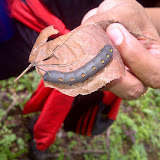 Trishul Learning Centre for less-privileged kids and Nature Knights invite you to the Sylonda trek in Sanjay Gandhi National Park, Borivali, Mumbai, on Sunday, August 3, 2014. All profits from this event will be used for funding Trishul Learning Centre and you will get tax benefits under Section 80G for your contribution. Beneficiaries: Children at Joseph Patel Wadi, A slum at Andheri West, near Seven Bunglows, Versova. Attending Free Trishul Learning Center. Note: All participants will get 80G Receipts on their payments. 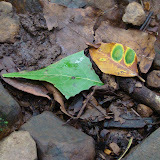 The Adventure Trek: The trek will take us through Sylonda Jungle trail crossing flowing streams. The trek will be escorted by trekking and wild life experts. Adult Participant: Rs.1000/- per adult. Student Participant (upto 16 years old): Rs.750/- per adult. Scroll down for inclusions / exclusions / checklist etc. The Park houses over 1000 plant species, 251 species of migratory, land and water birds, 50,000 species of insects, 40 species of mammals. In addition, the Park also provides shelter to 38 species of reptiles including crocodiles; monitor lizards; 9 species of amphibians and also 150 species of butterflies; and a large variety of fish. Trishul Learning Centre, a free learning centre for economically less privileged kids. Located at Josep Patel Wadi, Near 7 Bunglows, Versova Welfare School, Fisheries Road, Andheri West, Mumbai. Clickhere to know more about the project; click here to know moreabout Trishul NGO. 8:15 am meeting inside Sanjay Gandhi National Park (Borivali East). No littering; not causing any type of damage to forest. Carry all items kept in water proof sacks kept in protected backpack. (Kindly carry enough precautions to protect all your electronic equipments from rain). 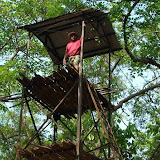 Custom Adventures Customized to meet your needs: Jungle Treks, Nature Trails, Camping and Cycling Trips. 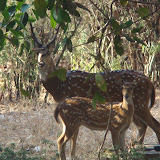 Sanjay Gandhi National Park (SGNP), previously Borivali National Park (BNP), is a National Park (Reserve Forest) in the northern part of suburban Mumbai city. It encompasses an area of 104 square kilometers (40 sq mi) and is surrounded on three sides by India's mega metro Mumbai. It is notable as one of the major national parks existing within a metropolis limit and is one of the most visited parks in the world. The rich flora and fauna of Sanjay Gandhi National Park attracts more than 2 million visitors every year. Inside heart of Park also lays the national heritage Kanheri Caves dating back to 2400 years, there are over a 100 caves sculpted out of the rocky cliffs which lie within the park. The park is nestled in the hill ranges to the east of the suburb of Borivali. It occupies most of the northern suburbs. To the west lie the townships of Goregaon, Malad, Kandivali, Borivali and Dahisar. To the east lie the townships of Bhandup and Mulund. To the south lies the Aarey Milk Colony. The northern reaches of this forest lie in Thane city. The park and these areas surrounding it are all part of the Mumbai metropolitan area. The park is a bustling forest, with an estimated 800 types of mauve. This flower is native to the park and the surrounding regions, including Karnala, the Yeoor hills, Tungareshwar and some parts of Goregaon’s Film City. The park is also home to a small population of leopards. 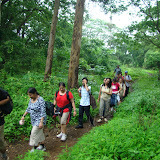 Fews of the Nature Trails / Nature Treks in Forest from Borivali National Park Side. Lower View Point Trail (Gaumukh Point). The park is home to a number of endangered species of flora and fauna. The forest area of the Park houses over 1000 plant species, 251 species of migratory, land and water birds, 50,000 species of insects, 40 species of mammals. In addition, the Park also provides shelter to 38 species of reptiles including crocodiles; monitor lizards; 9 species of amphibians and also 150 species of butterflies; and a large variety of fish. Flora: Bamboo, Kadamba, teak, karanj, shisam, and species of acacia, ziziphus, euphorbia, flame of the forest, red silk cotton and a number of other varieties of flowers. 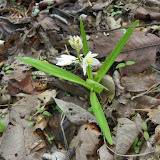 Karvi or Karvy, a flowering plant that flowers once in seven years, can be found in the Park. The Karvi shrub, as it is locally called in the Marathi language, sometimes also spelled as Karvy in English, only blooms once in eight years in a mass flowering covering the forest floor in a lavender blush. 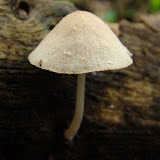 It grows in abundance in the Western ghats hills near Mumbai including throughout the Sanjay Gandhi National Park as in other parts of its natural range. In Sanjay Gandhi National Park its latest bloomings took place in 2008, and it is scheduled to bloom here again in 2016. Termed by nature enthusiasts as 'nature's miracle' its maximum bloom can be seen on some of the inner paths and trails that lie undisturbed in the park. It survives best on vast slopy expanses on the hillsides with Kanheri caves area of the park being one of the best places to observe large areas of blooms. In the state of Maharashtra, the mass flowering of Karvi has been observed to occur in Mumbai the same year as in the hill station of Khandala and one year earlier in Bhimashankar and Malshej Ghat, beyond Kalyan. Near Mumbai, the Karvi is also found in Karnala, the Yeoor hills, Tungareshwar and some parts of Goregaon including Film City. Fauna: The forest cover in the park helps provide the ideal habitat for many wild animals. Chital (or spotted deer), Rhesus Macaque and Bonnet Macaque are some of the wild mammals that can easily be spotted roaming inside the park. Other large mammals found in the park are: Black Naped or Indian Hare, Muntjac (Barking Deer), Porcupine, Asian Palm Civet, Chevrotain (Mouse Deer), Hanuman or grey langur, Indian Flying-fox, Sambar Deer and Leopard. One can also spot hyena or four-horned antelope. Reptiles living here include: crocodiles in the Tulsi Lake, pythons, cobras, monitor lizards, Russell's Vipers, Bamboo Pit Viper and Ceylonese Cat Snakes. In 2003, pug marks and droppings of a Bengal tiger were found in the park. Although the tiger was never widely seen, it did bring some excitement to city folks as records of tiger being found here are quite old and forgotten now with the last tiger being shot down 80 years earlier in the region. Conservation was also proposed for the interlinking habitat corridors and nearby wilderness areas in the state and upgrade their status as Tiger habitat. Butterflies Total 172 species of butterflies has been reported here, of which the spectacular ones are Blue Mormon, the phenomenal artist of camouflage the Blue Oak leaf, the bright jezebels and Large Yellow and White Orange tips, Tigers, Egg flies and Sailers. Avian-Fauna: Some of the birds one may see in the park are: Jungle Owlets, golden orioles, racket-tailed drongos, minivets, magpies, robins, hornbills, bulbuls, sunbirds, peacock, and woodpeckers. Migratory and local birds such as paradise flycatcher and various species of kingfishers, mynas, drongos, swifts, gulls, egrets, and herons have also been spotted.